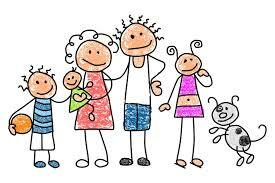 Family Relationship Counselling in Surrey. Call Nicky on 01252 706995 - Mind-Body Wellness, Hypnotherapy and NLP ..............Fix the Cause, not just the Symptoms! Family relationships can be wonderfully supportive, however for many there is usually at least one person within a family, whether its your family or your partners, that causes you stress and anxiety. This can become all consuming and at a loss of what to do to put it right, or how to cope with the interactions with that person or even get to a point where you dread seeing them and avoid it at all costs. Good relationships can give us positive health benefits and bad relationships can do the opposite. Improve your relationships and you improve your health. Note any details provided are only kept to announce the winner of the competition and provide you with any information that may be relevant to this competition. You may unsubscribe at any time by e-mailing me direct on Nicky@mind-bodywellness.co.uk stating Unsubscribe. Whatever the reason or relationship, I can help you to:- set boundaries; understand the issues properly; align your values with another person's or the values of your family as a whole; release any negative emotions and limiting beliefs you have, allowing you to behave more positively and in a relaxed way; and give you tools on how to best deal with stress and this relationship. Life can feel much easier. You can do it!!! Daughter finding her relationship with her "controlling, competitive" mother very upsetting, stressful and hurtful, causing the daughter to respond like she was 5 again. Her mother was getting older and so unlikely to ever change as she thought her way was right, "always"! I am sure many of you will relate to this awkward realtionship, whether it is from the mother, daughter, father or son's point of view. In this case the daighter had to learn and understand what messages she was giving out with her reactions and behaviour and how this would influence her mum's response and behaviour. Afterall one of the main principles of NLP is perception is projection i.e. what was the daughter projecting onto her mum from her own perceptions. Additionally it was important to delve into what was behind her mothers behaviour and understand what the root was, which was basically the fear of losing me. Keeping this in mind it helped the daughter behave better and also was more confident setting boundaries in a kinder way. Ontop of this it was important to remove the negative emotions and many limiting beliefs that had been created around this relationship and her mother and herself, along with installing many new positive beliefs and gaining self acceptance to allow her to feel better, be better and act better.